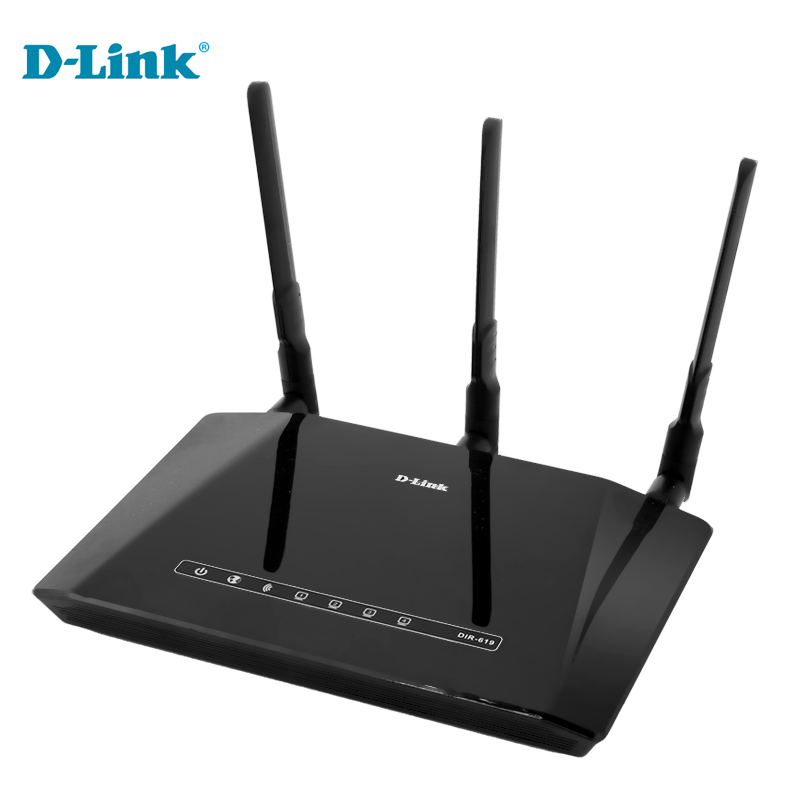 How to secure the wireless signal of D-Link DIR Series Router? Step 3: Click on the Setup tab at the top and then click on Wireless Settings on the lefthand side. Step 4: From the Wireless Security Mode dropdown menu, select WPA-Personal encryption. Step 5: From the WPA Mode dropdown, Under WPA, select the form of WPA you would like to use. Use WPA or WPA2 mode to achieve a balance of strong security and best compatibility. This mode uses WPA for legacy clients while maintaining higher security with stations that are WPA2 capable. Also the strongest cipher that the client supports will be used. For best security, use WPA2 Only mode. This mode uses AES(CCMP) cipher and legacy stations are not allowed access with WPA security. For maximum compatibility, use WPA Only. This mode uses TKIP cipher. Some gaming and legacy devices work only in this mode. To achieve better wireless performance use WPA2 Only security mode (or in other words AES cipher). Step 6: In the Pre-Shared Key box, enter the desired Pre-shared key. This is the “password that allows communication between you’re encrypted client (e.g. the PSP or your wireless computer) and the encrypted wireless signal coming from the D-Link router. This password must contain at least 8 characters, the characters can be anything you can create from your keyboard. Step 7: Click on Save Settings to save your settings. It is recommended to enable wireless security (WPA/WPA2) on your wireless router or access point before configuring your wireless adapter. If you are joining an existing network, you will need to know the security key (Wi-Fi password) being used. To join an existing network, locate the wireless network icon in the taskbar, next to the time display. 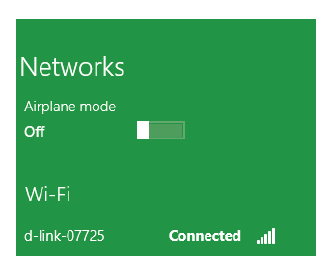 Clicking on this icon will display a list of wireless networks which are within connecting proximity of your computer. 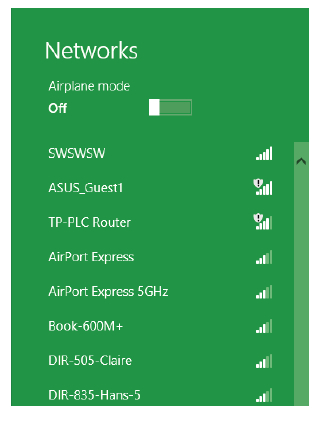 Select the desired network by clicking on the network name. You will then be prompted to enter the network security key (Wi-Fi password) for the wireless network. Enter the password into the box and click Next. If you wish to use Wi-Fi Protected Setup (WPS) to connect to the router, you can also press the WPS button on your router at the point to enable the WPS function. When you have established a successful connection a wireless network, the word Connected will appear next to the name of the network to which you are connected. 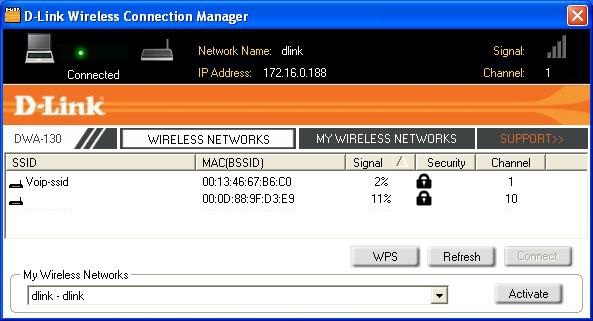 It is recommended to enable WPA-PSK on your D-Link wireless router or access point before configuring your wireless adapter. If you are joining an existing network, you will need to know the WPA-PSK passphrase being used. 1. Open the Wireless Connection Manager by double-clicking on the D-Link icon on your desktop. 2. Highlight the wireless network (SSID) you would like to connect to and click Connect. If the network is using WPA-PSK, the screen (as shown to the bottom-right) will appear. 3. Enter the WPA-PSK passphrase exactly as it is on your wireless router or access point. Click the Show text in the password field box to see the passphrase. Unchecking it will hide it. 4. Click OK to connect to the network. Allow up to 30 seconds to connect. If you would like to create a new network and enter the WPA-PSK settings, refer to the next page. 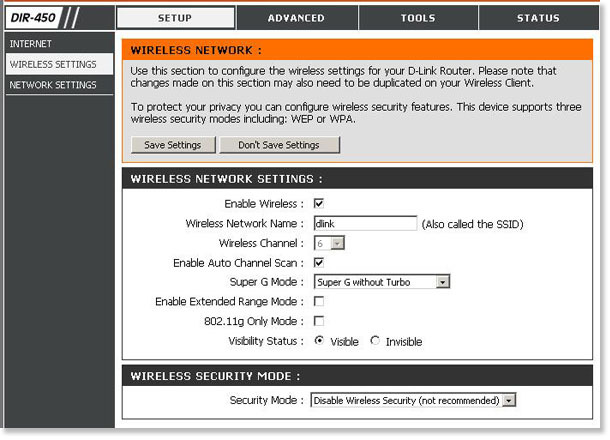 It is recommended to enable WPA-PSK on your wireless router or access point before configuring your wireless adapter. Make sure you enter the passphrase exactly the same on all wireless devices. 1. Open the D-Link Wireless Connection Manager by double-clicking on the D-Link icon on your desktop. Click on New to create a new profile or highlight an existing profile and click Modify. 2. Select WPA/WPA2-Personal under Set Security Option. 3. Select TKIP or AES. 4. Enter the passphrase exactly as it is on your wireless router or access point. 5. Click OK to connect to the network. Allow up to 30 seconds to connect. WPA is a strong form of wireless encryption, however not all wireless adapters support this feature. If your wireless adapter does not support WPA you will want to use WEP to secure your wireless network. Step 1: Open a web browser and type the IP address of the D-Link DIR-450/451 router into the address bar (default is http://192.168.0.1). Step 3: Click on the Setup tab at the top and then click on Wireless Settings on the left-hand side. Step 4: Select the type of WPA encryption you would like to use with your wireless adapter from the Security Mode drop down menu. For WPA-PSK select Enable WPA- Personal Wireless Security (enhanced). Note: All wireless products on the wireless network must have the same level of security to connect to the network. TKIP (Temporal Key Integrity Protocol) provides per-packet key generation and is based on WEP. AES (Advanced Encryption Standard) is a very secure block based encryption. When PSK is selected, your wireless clients will need to provide a Passphrase for authentication. When EAP is selected, you will need to have a RADIUS server on your network which will handle the authentication of all your wireless clients. The key can contain up to 63 alphanumeric characters (any letters or numbers). It cannot be shorter than eight characters, although for proper security it needs to be of ample length and should not be a commonly known phrase. Step 6: Click the Save Settings button to save your settings. Note: Enabling WEP on a DRAFT N connection will cap the speed to 54mbps. To gain the Draft N possible speeds, WPA2 is recomended. However WPA will also work. Step 1: Open a web browser and type the IP address of the DIR series router into the address bar (default is http://192.168.0.1). Step 4: From the Wireless Security Mode dropdown menu, select WEP encryption. WEP is the wireless encryption standard. 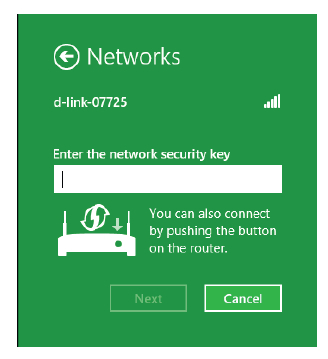 To use it you must enter the same key(s) into the router and all wireless clients you wish to connect. For 64 bit keys you must enter 10 hex digits into each key box. For 128 bit keys you must enter 26 hex digits into each key box. A hex digit is either a number from 0 to 9 or a letter from A to F.
You may also enter any text string into a WEP key box, in which case it will be converted into a hexadecimal key using the ASCII values of the characters. A maximum of 5 text characters can be entered for 64 bit keys, and a maximum of 13 characters for 128 bit keys. Step 5: Click on Save Settings to save your settings.